With the city getting thoroughly gussied up for Berlin Fashion Week, we thought we’d take a quick sashay down memory lane – or runway, rather – and flip through some of our favourite fashion-based spots. These ads recognize that far from an afterthought accessory, perfectly-chosen music can be the staple to build your whole ensemble around. In the advertising landscape, fashion spots are sometimes a bit of a law unto themselves. The long histories of fashion houses, close ties to the art world and the marketability (to a point) of controversy have meant that the rules are often very different than for consumer goods, giving fashion advertising a reputation – fair or unfair – for inaccessibility and obliqueness. Some, such as Miu Miu in this eerie installment of their long-running Women’s Stories series, have exploited this to the hilt. Feature film directors may find high-profile berth here more easily here, often given markedly free reign as in Miranda July’s more warmly offbeat project for the aforementioned Miu Miu series and several examples below. Whether confrontational or simply beautiful, however, fashion advertising has made some top-notch use of music throughout the decades, pairing sound and vision for show-stopping impact. We’ve been fairly broad in our intake, considering everything from fashion house perfume to jeans. Eschewing po-faced, beautiful-people posing, Lanvin swept up with this unexpected spot for Autumn/Winter 11/12, featuring all the usual trappings – lush couture, sumptuous backdrop interior, leggy models – but with one key difference. Rather than the expected langorous writhing or imperious stare, director Steven Miesel had said models pop the clotheshorse remoteness and use those endless limbs to get on down, in a minute of adorably awkward dancing from both genders. The distinctly un-couture raggaeton-ish flavour of Pitbull’s ‘Calle Ocho’ completed the unexpected admixture. For a great number of fashion houses, the temptation to mine the romanticised imagery of the French capital is rife – and when your brand actually numbers among that Mecca’s true fashion giants, the pressure is on to make it a gem. This 2008 confection could perhaps only have amounted to the pastel-hued, choux-light daydream it did at the hand of a non-Parisian – Sofia Coppola’s first fashion commercial revels in picturebook imagery, but also displays her flair for keeping such lightness full of life with pacy editing and the help of another French icon. Brigitte Bardot’s 1964 song ‘Moi Je Joue’ provides the Gallic insouciance and much of the charm. 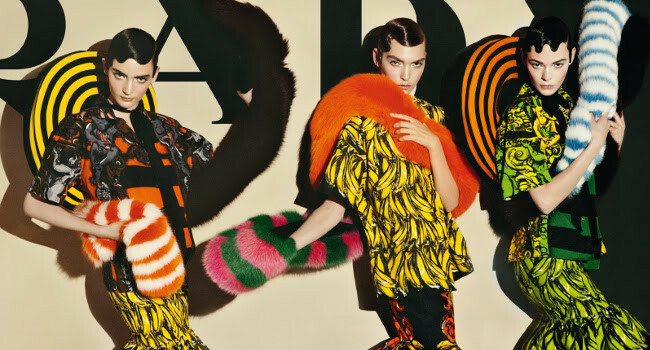 See also: Coppola’s work for Marni at H&M, featuring Imogen Poots and Bryan Ferry. One of the most foot-tapping jeans spots from last year features Levi’s various cuts in various conditions thanks to the rollicking lives of their assorted owners, from tots to tack-sharp elders. Sync champ Jamie N Commons matches the cheeky air and ably propels the spot with the brass-flecked blues rock bounce of ‘Rumble ‘n’ Sway’. The beige backdrop and sharp lighting support a sense of visual boldness – this spot somehow feels like an illustrated spread come to life. But it’s the music that adds that final vivacity – the lookey-likey models, clad for the most part in loud but classic stripes, let loose with angular flapper-like moves, rendered more off-kilter by stop-start editing, to the rippling bleeps and rocky electronic drive of Ratatat’s ‘Mirando’. Calvin Klein took full advantage of the 1990s VHS aesthetic that made its name (a grimier analog feel emerged in its CK One Shock ads, soundtracked by Sebastian’s remix of Revl9n’s ‘Walking Machine’) to produce this monochrome bit of raunchiness. The fuzzy channel-hopping feel was bolstered by an awesome feat of sync – a dizzying range of artists from Sky Ferreira (who also starred in the ad) to Dead or Alive were added, often for only a second or two, to provide the lithe stars something to cheekily writhe to. Find more of the spots here on vimeo. Director Luke Losey created a modern English oddment for Mulberry, filling country house interiors with a mixture of huge props, collage and superimposition to create a bizarre wonderland: foxes, live and stuffed, slip between colossal eggs, and gigantic finches flutter behind bag-toting models styled as English roses. It’s abundantly strange and tumblr-friendly, and somehow Miike Snow’s ‘I’m Still an Animal’, at once wistful and jubilant, keeps the beast light on its feet. Find it in richer quality on vimeo. Bacon’s work for Jack and Jones recognized the power of a good pairing – enter the unsettling suavity of Christopher Walken, carving a sharp jacket with supernatural aplomb in a slant-lit city loft. He doesn’t say a word. Instead the menacing bassline, fraught strings and grandstanding lyrics of Nick Cave’s ‘We Real Cool’ make all the introductions, along with showy foley work. The UK’s i-D Magazine compiled an A to Z of supermodels with typical verve. Ladies Amanda Harlech through Xiao Wen Ju, in no particular order, recreate the magazine’s signature emoticon wink in a variety of day-glo stylings, a video version of flicking through dozens of cover shots, elevated off the page by the gorgeous electro drive of Jackson and his Computerband’s ‘Arp #1’. Though the alphabet itself might be somewhat nonsensical, the style is irresistible. Jonathan Glazer’s forays into advertising and music video left us with some of the most compelling morsels of film the 1990s had to offer. His showreel offers an embarrassment of riches from Stella Artois to Guinness which displays his uncanny skill for casting, music use and bold, out-of-left-field imagery. His fashion work was no different, producing two iconic and beautifully synced spots for rival jeans companies – the surreal power of his spot for Levi’s gets much of its muscle from Handel’s gloomy majesty. We love the subversive slice of Americana he delivered for Wrangler in which a young man – fleeing or pursuing? – takes off across the country, hitching and rail-riding through a landscape of twisted iconography from bison to burning suburbia. The mingling of hardship and freedom, threat and exhilaration are further encapsulated in the thrill and near-eeriness of the repurposed accompaniment.